Remember the Halo: Reach Honor the Code Mountain Dew promotion from a few months back? Of course you do. The prizes were, and still are, pretty neat, but word on the street is that now you can win something truly special. 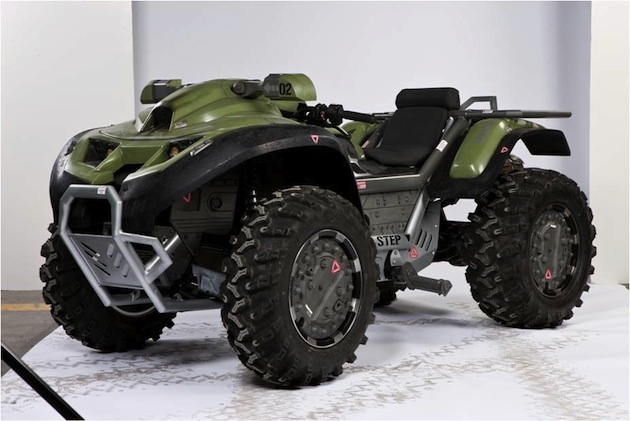 Yes, you’re looking at it right now: a fully working, life-sized Halo: Reach Mongoose ATV. There’s no “trick” or anything here. You enter the code, as usual, found on Mountain Dew and Doritos, but instead of putting in for, say, an Xbox 360, you put in for the ATV. There’s two of ’em in total, and they’ll be given away on November 18 (tomorrow) and November 22. That’s one on the 18th and one on the 22nd. The full Honor the Code promotion ends on November 28, so you’ve a few days left to win some gear.